As you work to launch your startup, you will launch your startup brand, too. Developing a brand for your startup is something that will happen whether you work on it intentionally, or you just let it happen. 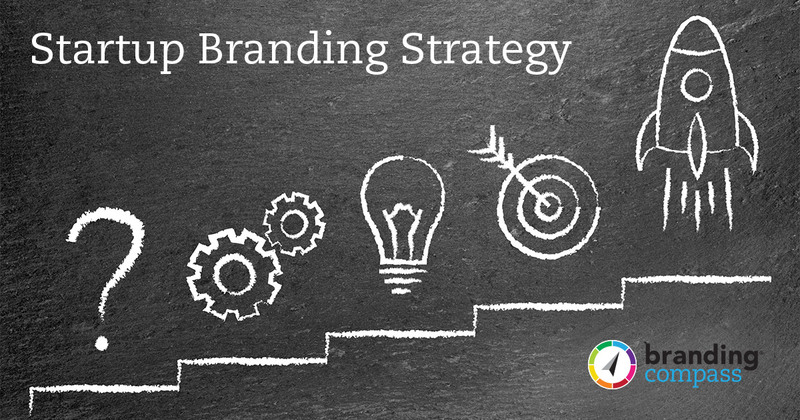 It is far better to create a brand strategically and proactively rather than proceeding without a plan. Nothing is more critical to your startup brand than your name. The wrong name will feel like a ball and chain weighing you down, whereas a great name can make all of your marketing efforts much easier. Suggests the product or service you sell. It does not have to be literal (e.g. Mike’s Pizza Shop), but it should definitely not confuse people. Literal names can have strong SEO (Search Engine Optimization) value. A good name suggests what you do, a great name is also suggestive of the benefits or experience of your brand. It is easy to say and ideally easy to spell. Creating a memorable brand relies on repetition of consistent brand touch points. If people don’t know how to say your business name a couple of things are likely to happen and neither are positive. If your prospects hear your name multiple times, but it sounds differently each time, you are not gaining name recognition. Secondly, if people are unsure how to say your name they may be reticent to recommend you because they fear saying your name wrong and sounding stupid. No one likes to sound stupid! Many new business owners struggle to describe the benefits of their product or service and how they are really unique. Traditional businesses such as those offering professional services like accountants, business consultants, or wedding planners are quickly understood by others but find it hard to stand out from competition. Innovation-based startups like software applications may trying to make something entirely new understandable to prospects. Each has a different problem, but needs the same solution. Learn to quickly describe what you offer in a way that is compelling and understandable. This is a critical foundation for starting your brand. Writing a Unique Value Proposition should be the first step to crafting your brand. Rather than focus on specific details such as your logo design, take a step back and think about how you want your brand to be portrayed. Start with words. For many people, starting with a list of adjectives is a good way to begin to articulate what you want your brand to look like. Is it clean, richly textured, simple, complex, traditional or modern? Look for inspiration. Find examples of websites, logos, package design, printed brochures, etc. that you like. Look at them altogether and try to find themes that run through them. Do they all share similar color palettes? Do they use similar typefaces or similar styles for setting the type (centered, all caps, etc.)? Do they feel highly polished or more raw or hand-drawn? What type of imagery such as photography or illustration do they use? Many startup founders follow the lean approach to building and launching their company. The idea is to go to market quickly without spending a lot of money perfecting details that may not be quite right yet. Startups launch with MVPs, or Minimum Viable Products so they can begin testing out their idea in the marketplace as fast as possible. Some businesses, such as restaurants, need to have a highly polished brand before they launch. If they go to market with a brand that off target, they don’t usually get a second chance. An unprofessional brand can signal poor-quality and can be detrimental to many consumer brands. But if you are a startup founder of a high-growth, innovation-driven enterprise, you probably don’t want to invest in branding until you know you’re done pivoting and are on the right path to success. If you fall into this category, test the water using DIY and low-cost tools whenever possible. As your value proposition changes, adjust your visual style accordingly. Put off paying for an expensive logo design or branding firm until you are confident in your execution plan. A foundational concept for your brand identity. It is far more important to nail an overall concept and vision for your brand than to execute the perfect logo design. A professional branding firm can clean up a hastily done logo later without losing all brand equity. However, if they are redoing your name or the central of the idea in your logo, it’s much more like starting from scratch. Choose some core design elements and stick with them. Choose just a few colors and one or two typefaces and use them all the time. You may get sick of these elements but your prospects won’t. Consistency will build a recognizable brand for you. Plus, it will allow you to do everything from social media posts to investor decks more quickly. You can stop wasting time and brain power making design decisions. Most startups are running short on cash and money, but that doesn’t mean you should ignore your branding. I created Branding Compass because I knew that startups needed a way to get advice about building their brand. Tip: In less than an hour and for as little as $99 you can get expert branding advice and it won’t feel overwhelming. I promise.